If you’re buying a home in Utah or already own your home, we highly recommend that you get it tested for radon. As many as 1 in 3 houses in Utah will test positive for radon during a home inspection. Testing is the only way to find out if there are elevated levels of radon in a home. The EPA recommends that all homes in the U.S. should be tested for radon. Radon is the second leading cause of lung cancer next to smoking. High radon levels are easily fixable, at a reasonably low cost. In certain cases, during a Real Estate transaction, radon mitigation can be negotiated in the contract. Every home is susceptible to radon, even new construction. Radon gas is the number one cause of lung cancer among non-smokers, and the second leading cause of cancer in America. 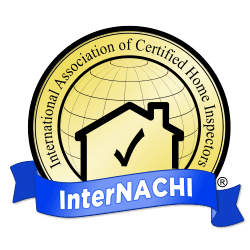 Radon testing is recommended by the EPA, the Surgeon General, the American Lung Association and the Utah Department of Environmental Quality. 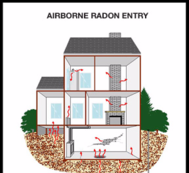 Click here for more information about radon from the E.P.A. We hear many reasons why potential buyers don’t want to spend the money to test for radon, here we go through fact and fiction. A radon test is always always a good idea. The home doesn’t have a basement or isn’t underground. In Park City, Heber City and surrounding areas, many homes are built into something that might have sometime been a slope, earth had to be modified to construct a house. It’s often true that most homes without basements have very low levels of radon, but better to be sure. Basement or not, radon isn’t a worth taking a risk. It’s new construction. Radon gas can seep into a home from the soil through dirt crawlspaces, cracks in the foundation and walls, floor drains, pipes and sump pumps. Radon can enter any home, old or new, even those with no visible cracks. Each building (new or old) is unique, and the ground beneath it is also unique. The home already has a mitigation system. If the system is working properly, the radon levels are probably very low, but how do you know the system is working properly? HomeTech uses professionally calibrated, continuous radon monitoring equipment for accurate results and fast turnaround times. A typical test for a real estate transaction will take 48-72 hours to get results. Reports will contain a 48 hour average as well as hourly readings in both a list and a graph form. Please visit the pricing page for testing fees.